Some interesting information presented below by Dark Journalist and Jim Mars, a major figure in ufology. I embedded related links below for further study. 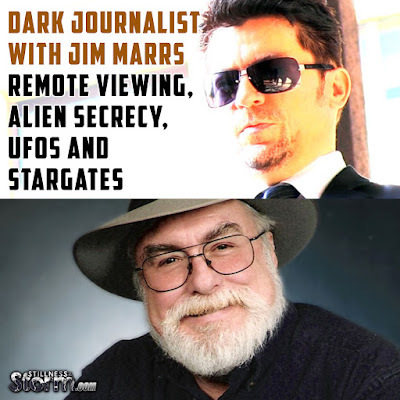 In this special Dark Journalist episode he welcomes back Bestselling author of Alien Agenda, Jim Marrs, for a fascinating rundown of his latest cutting edge research on UFOs, Remote Viewing, Stargates. Genetic Engineering and Alien DNA. 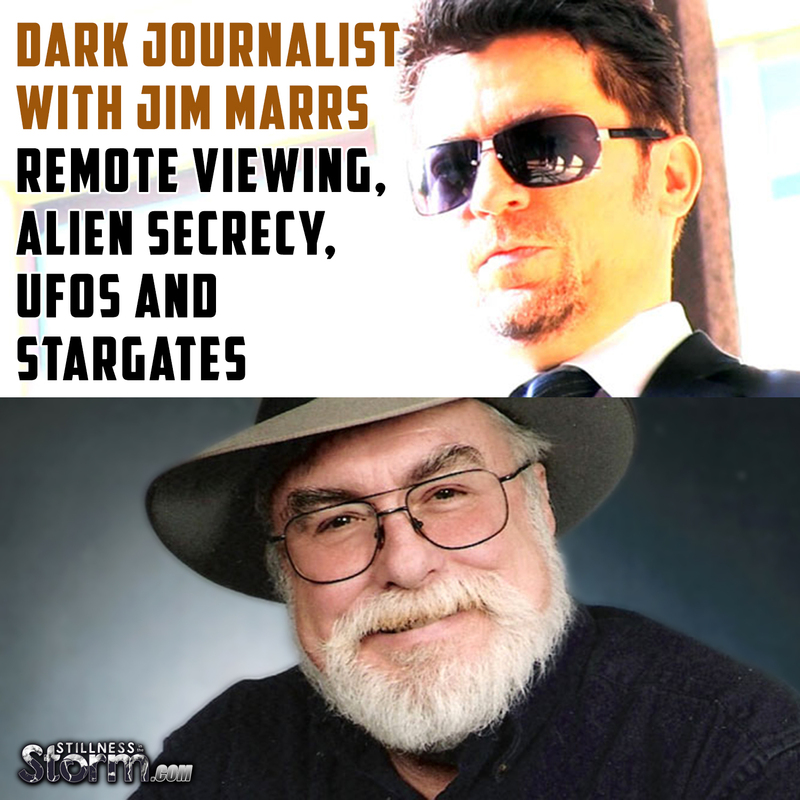 Marrs reveals his 20 year investigation into the shadowy Black Ops world of Psychic Spies, Remote Viewers, UFO Encounters and Government Cover-ups of advanced technology reverse-engineered from ET craft. Related “The Star Gate Project” Did The US Government Really Shut It Down? Some controversial Remote Viewing by its denizens Ingo Swann and Pat Price reveals that there are ET-controlled UFO bases on Earth, located in four very remote places, in separate continents across the planet. Jim also sees a massive covert program dedicated to keeping the truth of alien involvement on Earth a secret and he details the efforts that Presidents from JFK onward have made, sometimes with fatal results, to wrest the control of the advanced UFO technology from the breakaway military faction inside the Deep National Security State! They also explore fascinating and undeniable links to alien involvement in our ancient past and the shocking implications of the parallel lives of the enigmatic Pharaoh Akhenaten and the Biblical Prophet Moses and how their historical paths have intertwined to such an astounding degree that it has led him to the stunning conclusion that they are in fact: The Same Person! Jim describes evidence that strongly suggests that our distant ancestors were technologically advanced and that sophisticated devices like the Ark of the Covenant were achieved by a close interaction with an advanced off-world culture that is best recorded in the Sumerian tablets as the Anunnaki. He describes the two warring alien factions in possession of powerful genetic labs and DNA hybridization knowledge that were given the names Enki and Enlil and who formed the basis for the original books of the bible and represent the concepts of good and evil. He also explores the incredible similarity between the Egyptian Great Pyramid on the Giza Plateau, Mayan Astronomy Pyramid layouts, and Archaeological Ruins including the Face on Mars. This strongly suggests an advanced off-world culture playing a major role in human development in antiquity. Jim also reveals his connection to whistleblower Richard Theilmann, a Navy Lt. Commander and veteran of black ops that was part of a mission for the Secret Space Program to perform top secret surveillance of space targets and who had been operated on and given enhancements to help him perform Deep Space Missions. This fascinating Dark Journalist episode exposes the great expanse between the public consciousness and awareness about UFOs, largely controlled by the mass media vs the true reality on the ground, only available to a few elite insiders who form the greater part of an invisible power structure that is dedicated to ET secrecy in order to preserve the great advantage of the advanced off-world technology. The massive system of Black Budget money that has been harvested from the public budget to research and develop UFO crash retrievals is becoming abundantly obvious as more and more billions go missing from the federal budget. Related Analysis of X-Files Episode 1: "My Struggle" by Deus Nexus | The X-Files Disclosure of 2016!